When I was a kid my aunt would come over to our house to do laundry. While laundry was being washed, dried, and folded, my aunt and my mother would watch horror films. 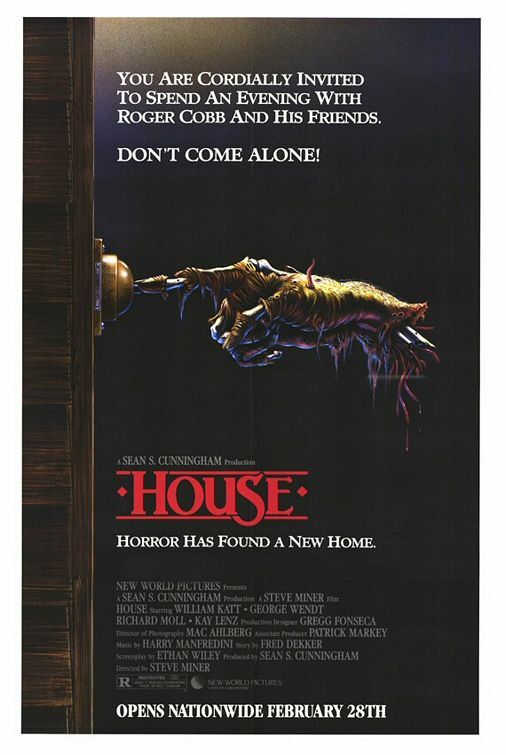 My mother told me that they watched all different types of horror films, but the ones that they gravitated towards were the ones that played in theaters. 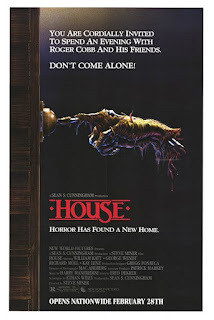 I remember watching scenes from the different horror films that they watched, but the first horror film that I remember watching all the way through was House. There is a scene in House where the main character is trying to bury a dead body that he has hacked into little bits. The hot neighbor lady comes over while he is trying to bury the body and the main characters is trying to hide to body while talking to the hot neighbor lady. The body, however, wants to get out so the hand comes out of the bag. The lead character tries his hardest to keep his body burying under wraps. The scene is played for laughs and is one of the most memorable scenes in the film.